Chris Godrich’s usual ‘day at the office’ can be hard to predict. From finding a goat in his Mongolian ger, to waiting out a sandstorm in the middle of the Gobi Desert, to looking up at the stars above Wadi Rum in Jordan; every working day as an Intrepid Travel guide is different. Intrepid has been taking travellers of all ages across the globe since 1989, each with a knowledgeable tour guide leading the way and organising experiences. We wanted to find out what it takes to do the job, and how a guide, like Chris, can turn a holiday in Southeast Asia into a once-in-a-lifetime adventure. How did you get to be an Intrepid travel guide? 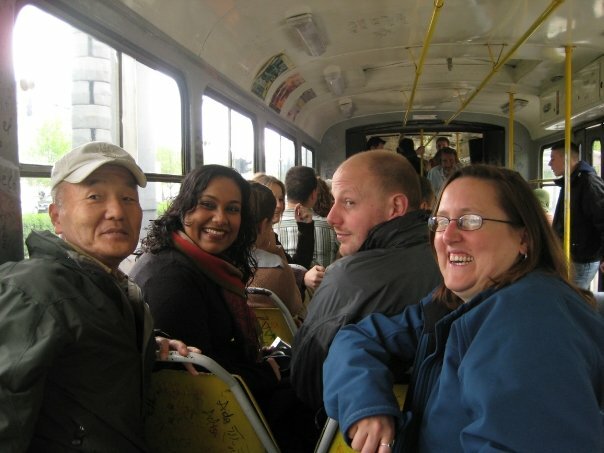 I actually became an Intrepid Travel guide by going on an Intrepid tour myself! After a particularly bad day at work at my previous job, I made a comment in the pub to a friend of mine and somehow the next day we had both given up our careers, and a few months (and jabs) later we were on a plane to India. Our travel agent had recommended an Intrepid Tour of India followed by one in Thailand, Cambodia and Vietnam. The leader on the Thailand part of the trip, Tini, completely inspired me and nine months later after returning back to the UK, I approached Intrepid to see if I had the skills to show people my home continent of Europe. I’m assuming that it went well? Fortunately yes! I had some pretty intense, but enjoyable training. After that I was let loose to spend four seasons taking passengers across most of Europe, North Africa, The Middle East and finally a season leading in Russia, China and Central Asia – I don’t think there are many Mancunians that have been back and forth on the Trans-Siberian as often as I.
What’s a typical day like for an Intrepid guide? As typical as a day could be, I’m always working one step ahead of the itinerary; confirming accommodation, booking activities, checking transport for any issues, all whilst maybe taking the group on an orientation walk of the city or arranging to take a passenger to a village their ancestors came from in Croatia. The only typical element is to always try and make sure that your group are having the best experience ever. That no two groups (or days) are the same, and the satisfaction in seeing members of your group flourish in unfamiliar surroundings. I also love offering guidance and support to passengers of all ages and backgrounds that are willing to immerse themselves into foreign cultures, try new food, or to have a go at a newly-learnt phrase – it's immensely rewarding. From your experience, what qualities do you think you need to be a guide? Patience, organisation, enthusiasm and after months on the road, I developed a very good constitution for long journeys. You also need to enjoy being in the company of others whilst being away from close friends and family for long periods of time. 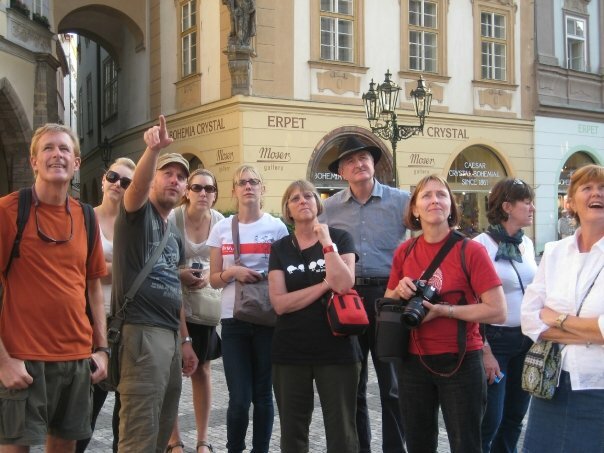 What’s the difference between travelling independently and travelling with a tour group? Anyone can look up recommendations and things to do in travel books but a tour guide’s knowledge has to be significantly better, and much more up to date. I always set out to discover and to recommend unique things to see and do in the places we visit that passengers are unlikely to be able to discover on their own. This could be anything from taking passengers to a quirky music festival in Beijing or guiding the group along the best hiking trail in the Atlas Mountains. The sharing of knowledge between guides is great but you always have that hidden gem up your sleeve that gives your passengers a completely unique experience. Would you say that you’re an expert in a certain area? If so, are there any secret spots you’d recommend? I’m the ‘go-to guide’ for overland trips covering a number of countries in a few weeks, therefore my knowledge is quite broad but my main area of expertise tends to be Eastern Europe. I do have many secret spots but it wouldn’t be a secret any more if it got into the wrong hands! That said, there is a waterfall in Albania that you would be blown away by if I took you there, and you would never find it in any guidebook. How have Intrepid guides changed since your first started? Intrepid now actually focus on employing local leaders, which I have to say I agree with entirely. The knowledge and passion our leaders have for their own cultures, traditions, history and enthusiasm is amazing. I recently went, as a passenger, on an Intrepid trip to Africa and some of the unique spots we were taken to were unbelievable. I’ve been to Africa plenty of times and I never even knew that these places existed! What’s your favourite trip that you’ve been on? Wow, there are too many to mention. However for sheer contrasts of cultures, diversity of places to visit, beauty of landscape and hospitality of the people, I would have to say the Silk Route. We started at the Great Wall near Beijing; visited the Terracotta Warriors in Xi’an; got stuck in a sandstorm in the Gobi Desert on an overnight train; visited the Sunday Market in Kashgar followed by watching the FIFA World Cup Final near the market; passed over the Tian Shan Mountains into the most amazingly beautiful country of Kyrgyzstan, where we stayed with a family in their yurts by Song Kol Lake; then over to Uzbekistan to stay in Samarkand, one of the oldest cities in the world. We also somehow fitted in visiting a water park in Tashkent to cool down from the searing heat. What a trip.